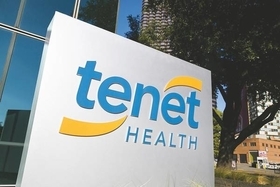 Tenet Healthcare Corp. said Tuesday it sold its small Medicare Advantage plan serving California seniors—marking the Dallas-based hospital system's exit from the health insurance business, first announced in 2016. Tenet has served about 9,800 members in Northern and Southern California through the Golden State Medicare health plan since 2010. With the sale of the plan to a holding company affiliated with Connected Care Group, Tenet joins a long list of healthcare providers who tried their hand at the insurance business and failed. Tenet in 2016 said it wanted to divest its health plan businesses because they weren't a core part of its long-term strategy. That year, Tenet owned six health plans covering about 140,000 people. The hospital system sold, divested or discontinued four health plans in Arizona, Michigan and Texas in 2017, according to an annual filing with the Securities and Exchange Commission. It sold its Chicago-based preferred provider network on March 1 of this year, along with the divestiture of MacNeal Hospital in Berwyn, Ill., a Tenet spokeswoman said. Tenet's health insurance business in the past has dragged down the company's earnings, despite accounting for a small portion of Tenet's total operating revenue. The lion's share of Tenet's operating revenue —78%—in 2016 was brought in by its general hospitals. The system's net operating revenue totaled $19.6 billion in 2016 and $19.2 billion in 2017.